Have you been thinking about an oil to gas conversion for your Capital District home? Then you should know you can count on Family Danz Heating & Cooling to help. We’ve been in the business of helping people with their home comfort needs for more than 30 years. We’re pleased to help our customers convert from oil to gas, and we want to help you make the transition as well. From an environmental standpoint, natural gas is a cleaner choice than heating oil, making it better for the world around us. Natural gas provides an efficient, safe and reliable source of fuel, is an economical option, and is one of the cleanest burning fuels available. It burns almost 100 percent of its fuel, and there is no leftover residue, odor or soot. When you convert to natural gas, it helps reduce greenhouse gas emissions of sulfur, carbon and nitrogen, and improves the outdoor air quality in your Capital District community by reducing smog, acid rain and gas emissions. Family Danz is pleased to provide oil to gas conversion for your Capital District home. At Family Danz Heating & Cooling, we’re committed to helping our customers take advantage of the best home comfort products on the market today, as well as helping them receive higher efficiency in their homes and savings on their utility bills. We’ll help your oil to gas conversion process go as smoothly as possible, so that you’ll soon be enjoying greater comfort and energy efficiency in your Capital District home. At Family Danz, we provide heating services including oil to gas conversions for the Capital District. To find out more about the benefits of an oil to gas conversion for your home, let the experts at Family Danz Heating & Cooling help. 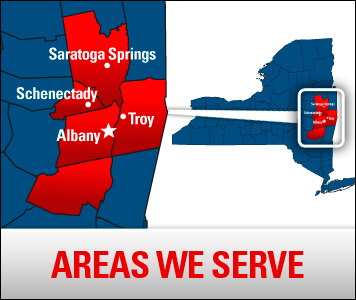 Just give us a call at (518) 427-8685, and we will be more than happy to help you with your needs.